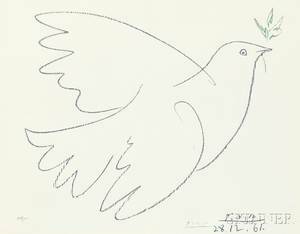 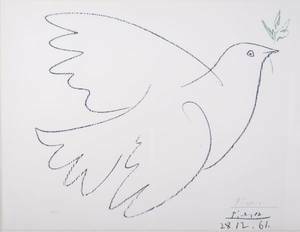 After Pablo Picasso (Spanish, 1881-1973), "Dove of Peace"-1961, color lithograph. 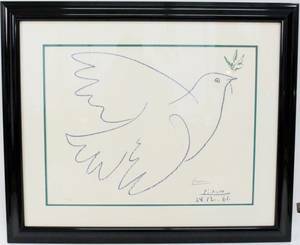 Pencil signed "Picasso" lower right under bird, pencil numbered lower left "145/200". 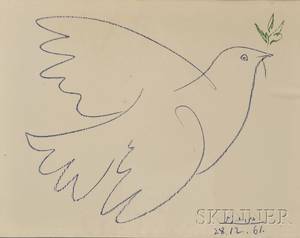 Large dove bird in blue with olive spring in mouth in green. 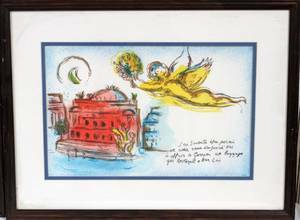 Print on Arches paper, watermarked lower left. 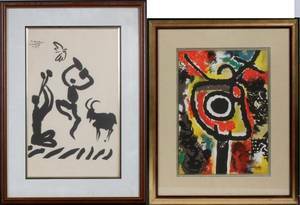 Framed 29.75" x 35.75". 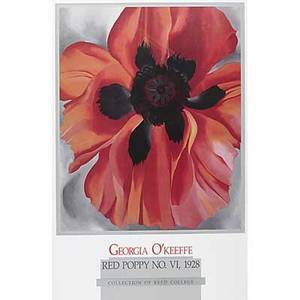 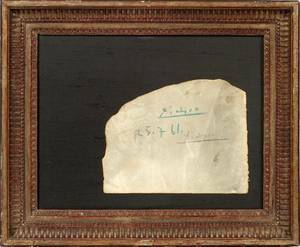 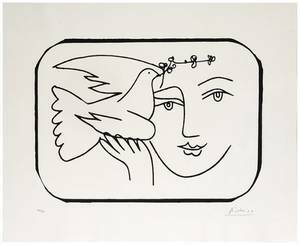 Sight size approximately 19" x 24.75". 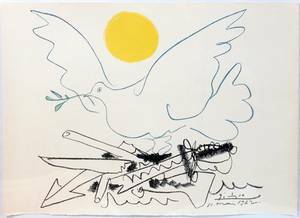 112388: PICASSO COLOR LITHO "DOVE OF PEACE"